My career was greatly influenced by Dorothy K Burnham (1911–2004). 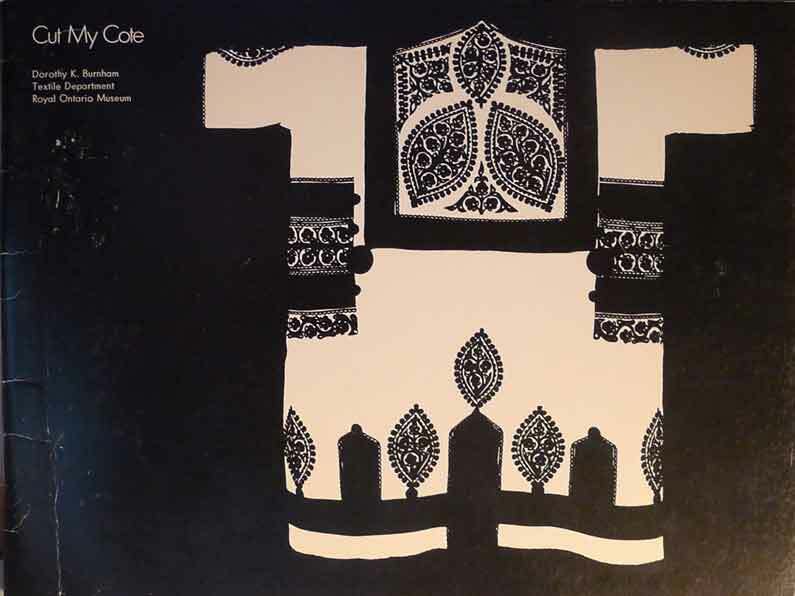 Her research on traditional garments and their constructions was published in the best-selling Cut My Cote. 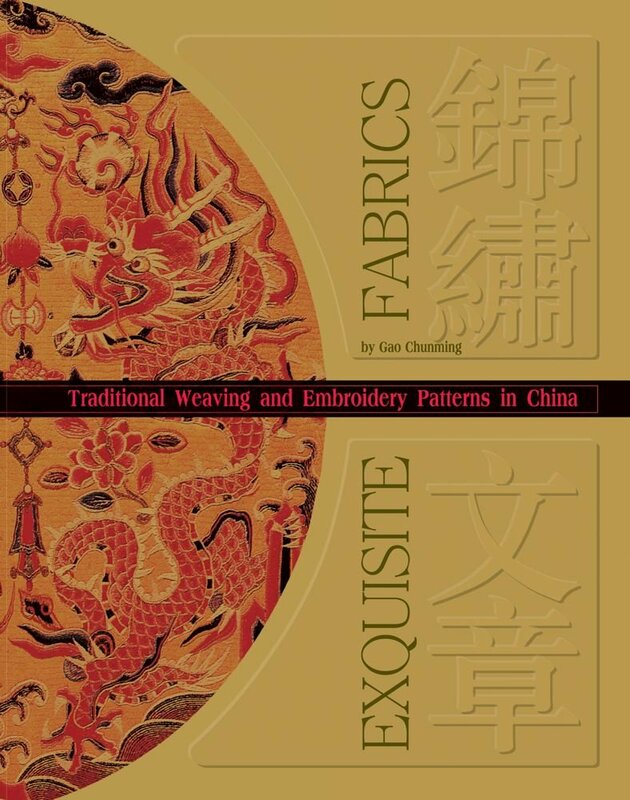 She convincingly demonstrated that garments in cloth-producing cultures were directly linked to the rectilinear form of the loom-woven cloth produced by them. Generally, cultures that developed wide looms, which produced generous widths of cloth, made garments that were wide and draped. In contrast, where looms were narrow, garments were seamed and fit more closely to the body. 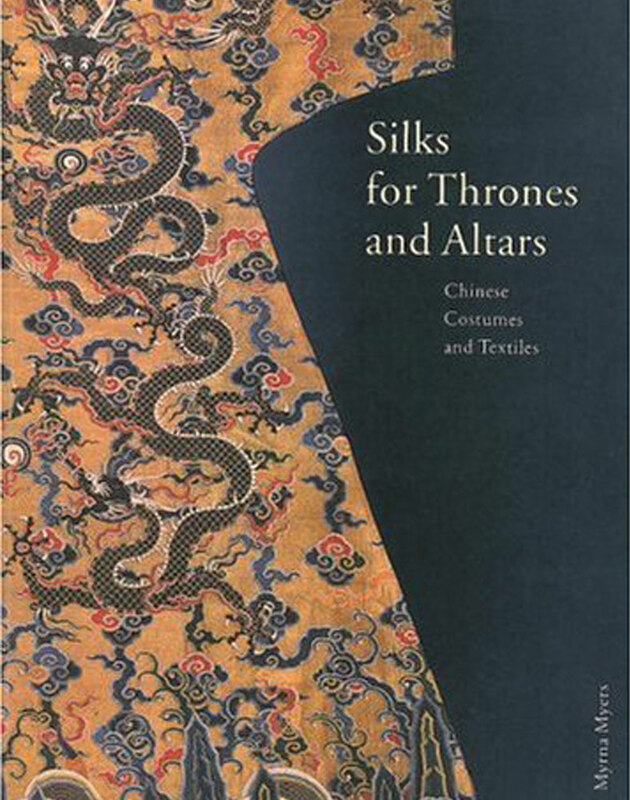 These links were not only true in the past, but also continued to determine how traditional garment-makers approached their craft, even when raw materials of different dimensions were used. Cut My Cote was published in 1973 for an exhibition by the same name held at the Royal Ontario Museum, Toronto. My colleague, Veronika Gervers Molnar, and I, with Dorothy’s advice and counsel helped with preparations for the Cut My Cote exhibition. We undertook a methodical examination of a very wide range of garment in the Royal Ontario Museum’s collection. We determined now each had been cut and shaped and rearranged those components on the original cloth width to determine how much cloth had been used. 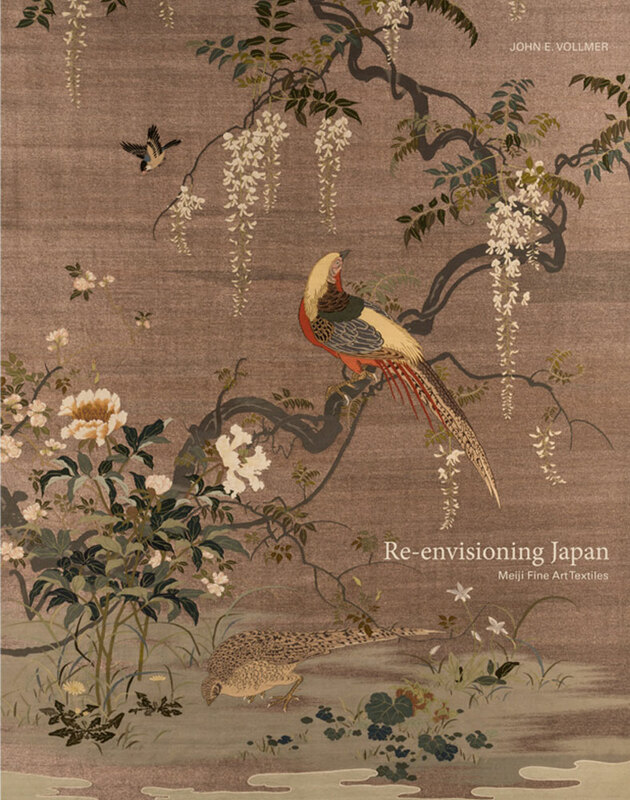 Hundreds of drawings later it was clear that across Asia and throughout much of central and northern Europe there were essentially two garment-making traditions. The garment components of one had cut edges that were as straight as possible, often utilizing selvages as hems or to give strength and when laid out on the original fabric resulted in very little or no wastage. Left: The neck of an 18th century Spanish man’s shirt has been made to fit somewhat better by cutting front and back separately and inserting a small square to make the shoulder. ROM 970.137.2, Cut My Cote, 1973, p.16 © Dorothy Burnham. Right: An 18th century Chinese court robe utilizes widths of cloth to cut out shaped pieces that when sewn form sleeves and fit closer to the body at the chest and flare at the hem. The fabric that is cut away is wastage. ROM 971.20.1, Cut My Cote, 1973, p.22 © Dorothy Burnham. The components of the second type had curved edges and almost never made economical use of woven cloth. We concluded that those garments were based on animal hides. 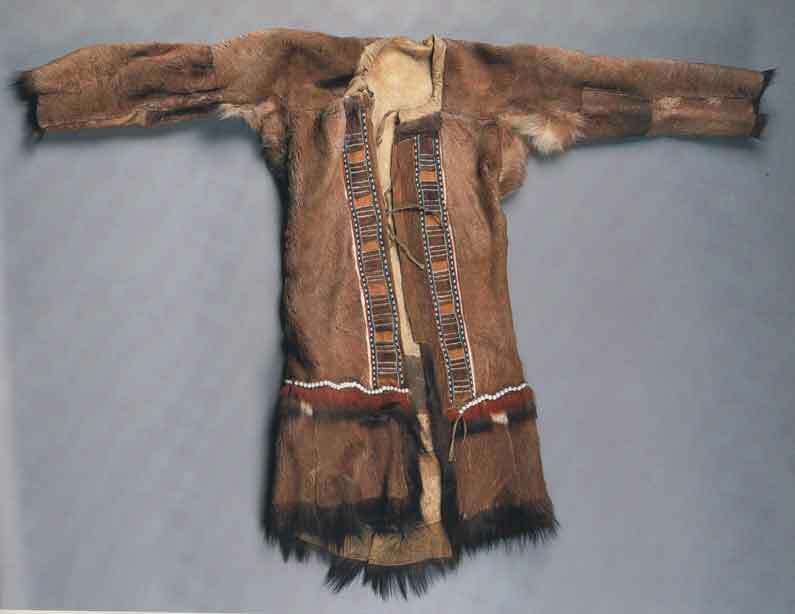 The late 19th century eastern Siberian Even man’s reindeer hide coat utilizes an animal hide slashed along the spine with a hole cut for the neck. The hide wraps over the shoulders and around the torso. Because the softer but smaller female hide was preferred, additional pieces of hide were required for the sleeves and to extend the length. Two triangular gores increased the width at the bottom; a similar gore under the sleeve added fullness and reduced stress for arm movement. American Museum of Natural History 1902-20 (70/5891 A) diagram 2017 © Richard Sheppard; © 2017 AMNH. 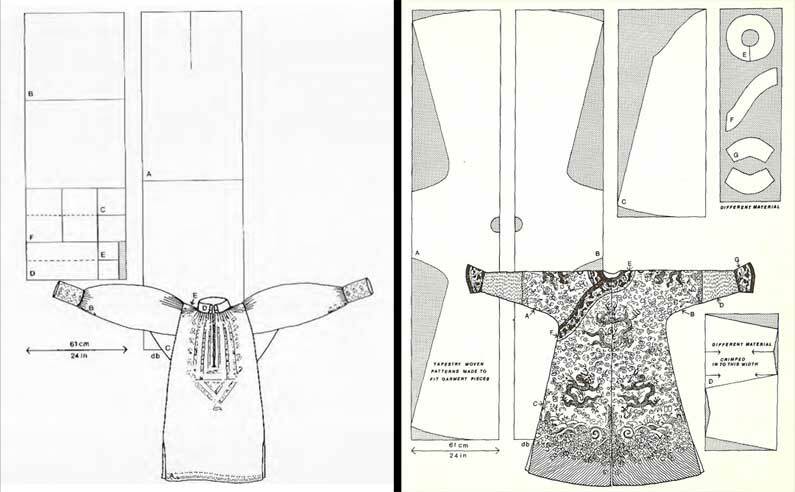 In subsequent research on the wardrobe of the Manchu, who ruled China during the Qing dynasty (1644–1911), I attempted to track down prototypes for their eccentric garment constructions. The general trapezoidal robe shapes evoked those of hunter/herder groups living in Siberia. 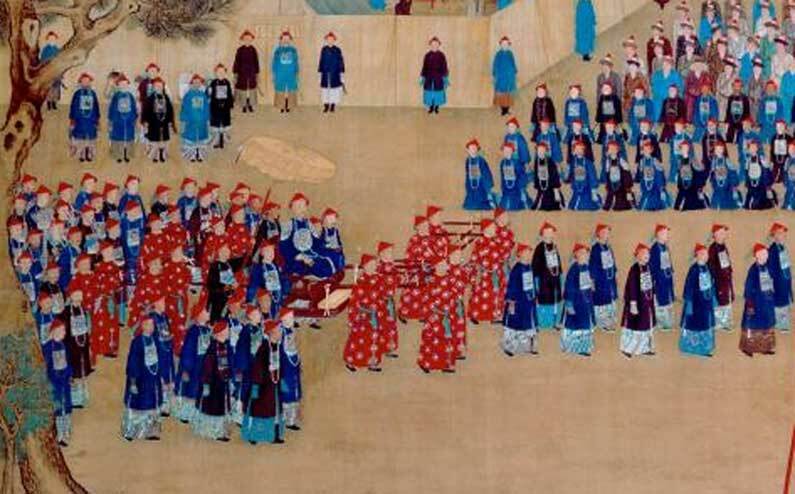 Giuseppe Castiglione (1688-1766), detail of Imperial Banquet in the Garden of Ten Thousand Trees, [in Chengde, the imperial summer retreat], hanging scroll, ink and color on silk, 1755. © Palace Museum, Beijing Gu6275. 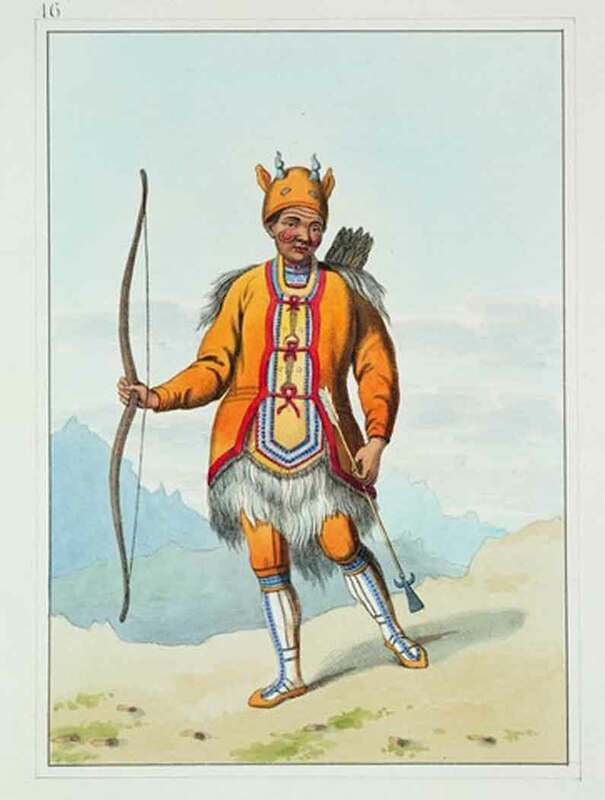 “A Tungoose [Tungusic tribesman],” plate 46 from Costume of the Russian Empire, London: William Miller,” 1803, page engraved by J. Dadley, private collection © Vollmer photographer. 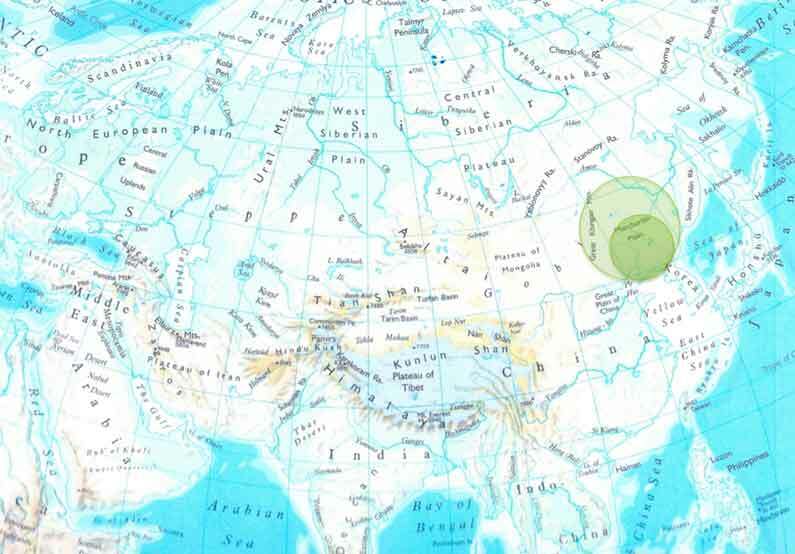 Historical range of the Manchu: 15-16th century (lighter green); early 17th century (darker green). While the Manchu used a number of fur and leather garments, none of them actually related to anything in the ethnographic body of evidence. In fact, most fur garments were modeled on garments made of cloth. Left: Emperor’s fox overcoat, Jiaqing period (1796-1820), © Palace Museum, Beijing GU4963. 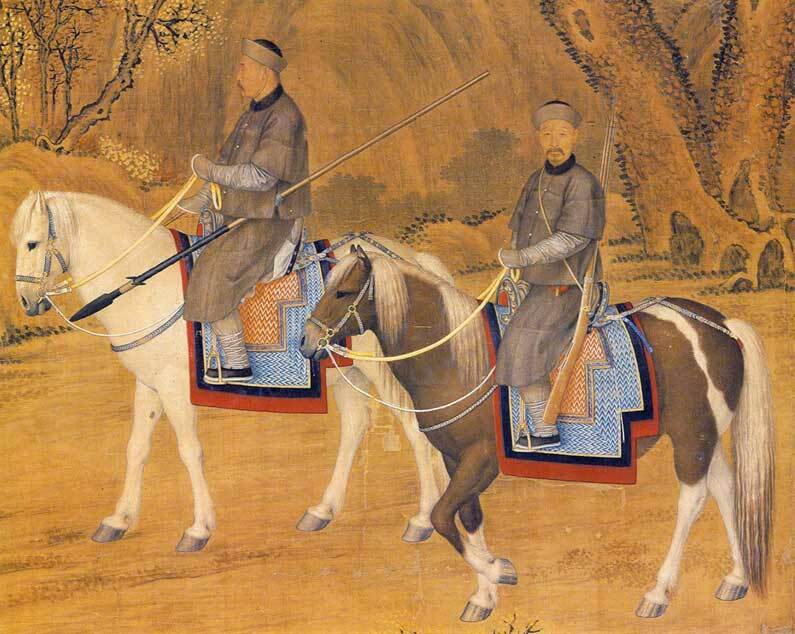 Although I speculated there were animal hide prototypes and even attempted to reconstruct them based on my research and circumstantial evidence, the truth is there are no surviving garment from the period before the Manchu declared the Qing dynasty and set their sights on being the emperors of China. Later posts will discuss specific construction details that have forced me to revise my conclusions about the design of the Manchu wardrobe. The proof is always in the details.